Check the technical data of the unit, picked out from the catalog of MAN TGM tipper. The details on engine output, gearbox and emission class are as follows: Euro 5, diesel, displacement: 6871 cc, 290 hp, gearbox: automatic. The details on axles, suspension and euro norm include: 4x2, number of axles: 2, ABS, EBS. Driving cab specifics: cruise control. 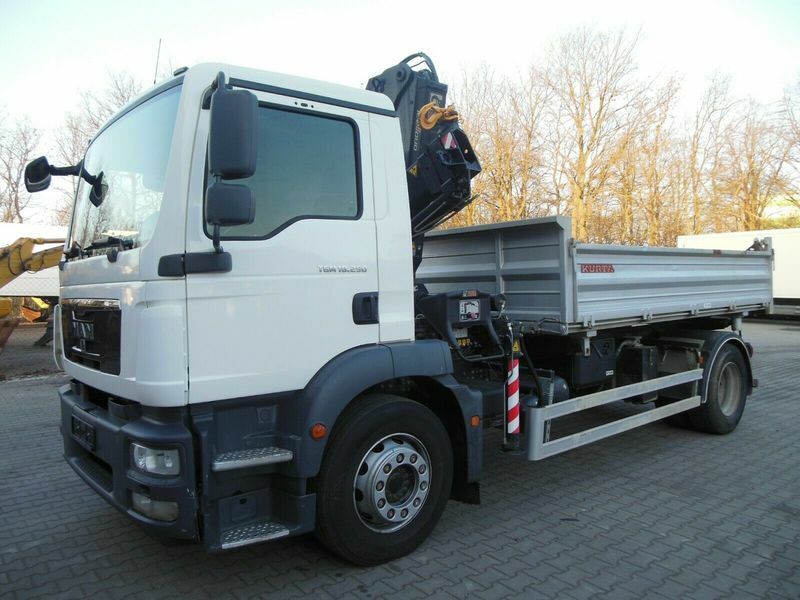 Bodywork: loading length: 4235 mm, loading width: 2375 mm, loading height: 600 mm. The mileage is 278014 km.